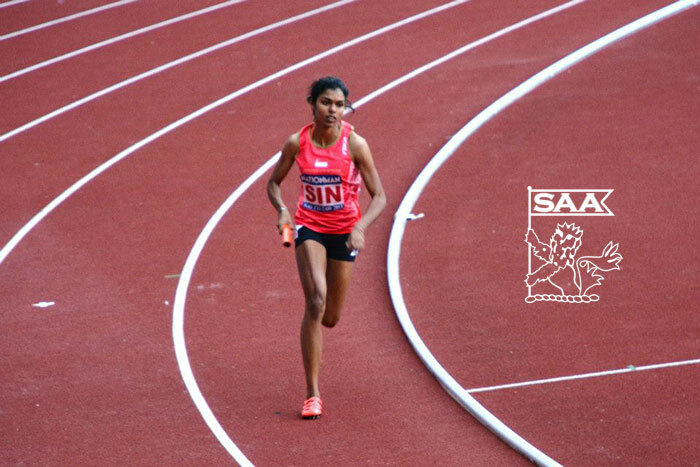 T. Piriyah will be representing Singapore in the Women 400 Meter Dash Open at the 76th Singapore Open Track & Field Championships 2014. Here’s is her profile awareness of our selected National Athletes for the competition. 400m – 56.20s (2013 Taiwan Open). I have been consistently training and following my coach’s program. I am hoping to do a decent timing for my 400m and also for the 4x400m. Singapore open will also be part of my preparation for ASIAN games. I do not really have a particular idol but I was fortunate to be able to meet and interact with Allyson Felix when she was in Singapore last year. I really liked her humble and friendly character even though she’s so famous. I believe that staying humble is a very important character trait that everyone should have, regardless of how famous they are. I got started in this sport when my primary school track and field coach spotted me running during the schools sports day. He encouraged me to join the track team when I was in primary 4 and I haven’t stopped running since.